Lawmakers on a committee for energy for the Republican Party have begun questioning the EPA for new information regarding their future power regulations this week, another instance in a queue for the republicans who have revealed the EPA as a power-hungry megalomaniacal organization that is out of place in the year 2011. Republicans have pointed out these regulations on the power sector as a key issue for debate in the near future. They have previous taken aim at EPA budgets, greenhouse emissions, and the Clean Air Act in 2010 and throughout 2011 as well. The similarities between all these issues are the effects they have on both employment growth and revenue generation in industry, largely for those who rely on power plants and factory production. 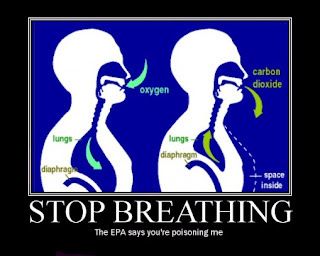 The Republican Party has made extremely apparent, the peripheries that the EPA is overstepping time and time again. The restrictions placed upon big businesses are extraordinarily costly and cause a monumental impact on industry. GOP officials and business leaders are fearful that new EPA regulations will have even larger impacts. While it remains obvious with the US national deficit in its current state, that budget cuts are absolutely vital to the success of the economy, the disagreements continue. Although the 2011 federal budget dispute was resolved a few weeks ago, the agency’s programs in question were hardly affected by the 16 percent decrease. Even the budget cuts themselves seem to be yet another example of the EPA’s failure over the last few months. The agency has spent a large part of 2010 throughout the current months of 2011 in defense of some perceivably useless regulations. The fight to keep costly taxes on these regulations has diverted a large amount of their attention from some of the programs that have direct connotations on environment related health issues like the reduction of asbestos exposure by abatement and regulations assisting to minimize water contamination. The defense of the clean air act is understandable, but the restriction of greenhouse gas emission is more concerned with money made from the enforcement of costly cap and trade taxes than the environmental health benefit of Americans. The EPA seems committed to the continuance of costly regulation, and this approach could end up being more harm than good for the organization. Republicans should continue to put pressure on the EPA and we should see even further budget cuts in the near future. 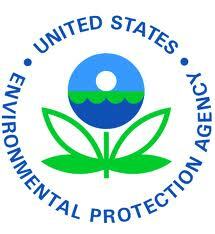 This continued type of attacks could result in being extremely costly for important EPA programs; hopefully they choose different motives from the goal of a money hungry, powerful bureaucracy. Good post. However, I don't think that it could end up doing more harm than good. I think it always has.